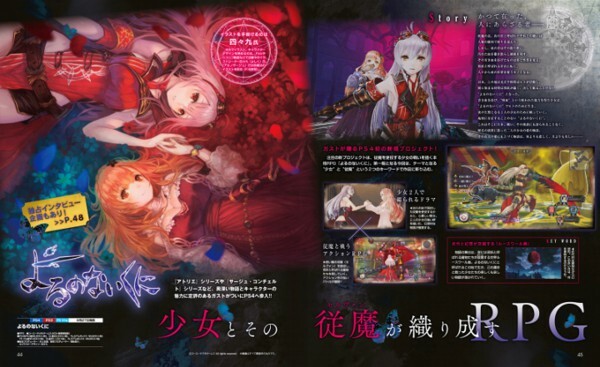 The details come from the Gematsu and the newest issue of Famitsu, and so far we know that the game is set on Rusewall Island, where no one sleeps at night, and the central characters appear to be two girls. Combat will have you utilising demonic weapons and minions, bound by contract to fight alongside you. 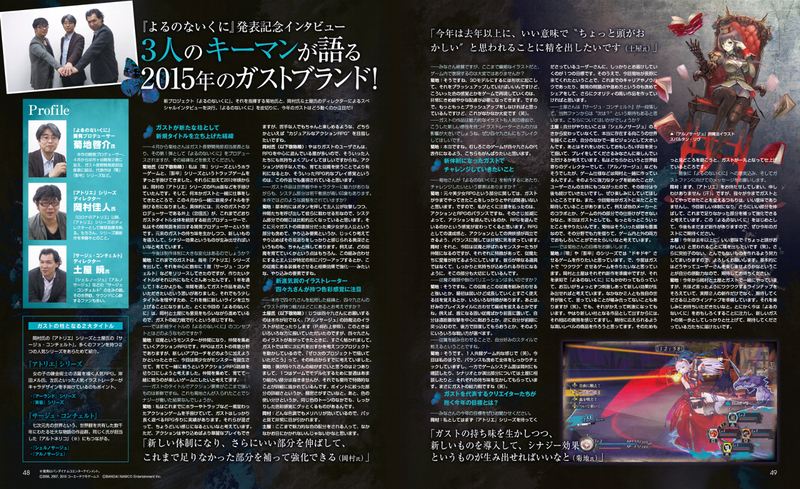 More scans from the Famitsu issue on this game are below. Yoru no Nai Kuni is releasing for PS3, PS4 and PS Vita in Japan on August 27. No word yet of a western release date.